Two days National Conference on “Recent Advances in Mathematics” begins today on October 4, 2018 in the Department of Mathematics, Central University of Jammu. The inaugural function of the conference was held at Brig. Rajinder Singh Auditorium, Central University of Jammu. In his Presidential address , Hon’ble Vice-Chancellor of CUJ Prof. Ashok Aima spoke about utility of Mathematics in other sciences and day to day life situations. He further gave emphasis on latest developments in the field of mathematics in US and other countries as they are using Mathematics extensively in other area of sciences. He also lauded the role Department of Mathematics in organising this event. Earlier after lighting of lamp ceremony, Dr. Ajay Sharma, Head, Department of Mathematics gave welcome address, where he highlighted the achievements of the Department which is just seven years old. Prof. S.D. 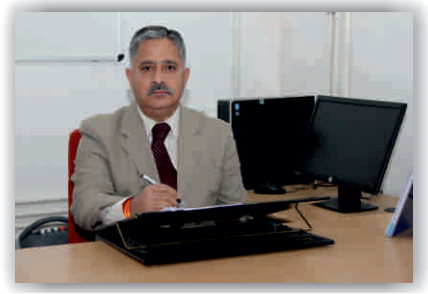 Sharma, former Head and founder of mathematics department appreciated beauty and power of mathematics in his address. Prof. A.P. Singh, former Vice Chancellor, Central University of Rajasthan was the Key Note speaker. He appraised the audience about the Field medal, Abel prize and other prizes which are awarded in Mathematics. Prof. S. Ueki, Tokai University Japan appreciated the department for inviting him for a period of four weeks in the department. Inaugural function ended with the presentation of vote of thanks by Dr. Sanjay Kumar, organising secretary of the conference. In the technical session, which begins after inaugural, a total of seven invited lectures were delivered and eight research papers were presented by scholars from different universities and colleges of the country.